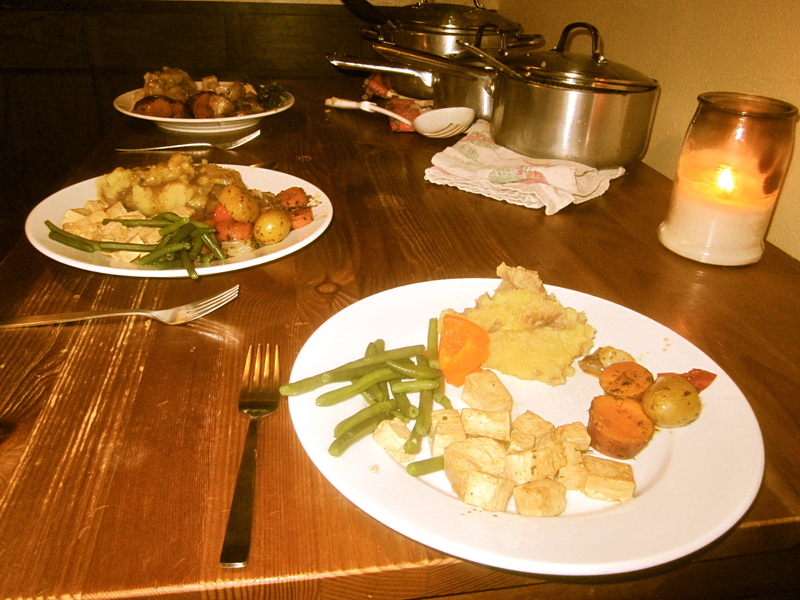 Yes, it’s still vegan December only this time the whole family had a vegan meal. The boys and Amanda are already vegetarian so it wasn’t that unusual for them. What did we eat? Tofu sautéed with Olive oil and Soy sauce, mashed potatoes with veggie gravy and a big tray of roasted vegetables including yams, carrots parsnip’s, green beans and onions. It was good! Followed that up with a nice walk in the snow on a windy night in Montana, and while we both missed our families it was quite a magical Christmas.